To connect to Local Active Directory, Local Exchange, Azure AD Connect, Office 365 and Azure via PowerShell, follow the steps below. First you need to ensure your desktop PC is configured to connect to Local Active Directory, Local Exchange, Office 365 and Azure via PowerShell. 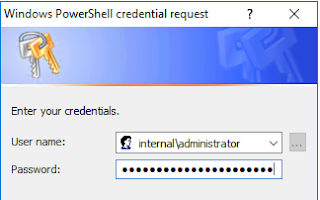 Your admin PC must be a member of the local Active Directory Domain to be able to administrate your Active Directory. This script will only connect to your local Exchange CAS server from the internal network. Once your PC is configured, you will need to create a connection script. Next, edit my connection script by opening the file in Notepad or PowerShell ISE. I personally prefer PowerShell ISE as it provides visual cues when creating and editing scripts. Note the red highlighted area which contains the six variables that need to be edited and saved. 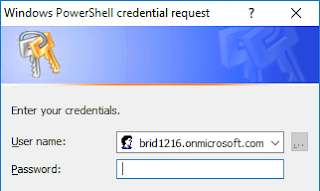 Updated with the tenant name, Local Exchange server name, local credentials, cloud credentials, Azure AD Connect server name and Azure AD Connect admin credentials. 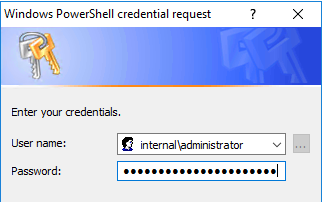 Once you click the green arrow and run the script, a PowerShell credential box will appear. This is prompting for your password for the local Active Directory and local Exchange administrator that you edited in the script. Note that the credential prompt already populates your user name from the variable you edited in the script. Once accepted, you will then be presented with credentials prompt for your connection to your Office 365 tenant. Once again, the credential prompt already populates your user name from the variable you edited in the script. You will see several green progress bars appear as the connections occur. 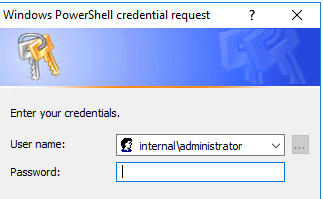 If receive a PowerShell prompt to start the WinRM Service, click Yes. You will see more green progress bars appear as the connections occur. Eventually your PowerShell window will look similar to this. Lastly you will be prompted for the password for your Azure AD Connect administrator account. If your connection script has run successfully, depending on your tenant configuration, you should not receive any errors. 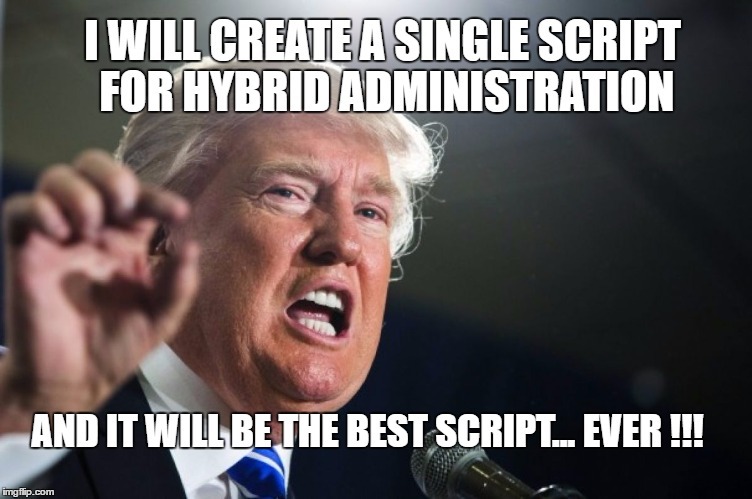 Your Hybrid Connection script is now ready. It is important to note, that when administering your Hybrid environment, there will be several times that PowerShell cmdlets will overlap when using remote PowerShell sessions to both Exchange Online and Exchange Local. 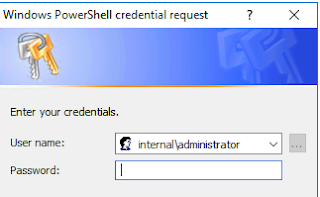 For example, if you had connected via PowerShell to both Exchange Online and Exchange Local, how will PowerShell know which connection you wish to use when running the Get-Mailbox cmdlet? This is where the PowerShell prefix provides a solution. You will notice in the screenshot above that I have highlighted that several services include the parameter -Prefix . 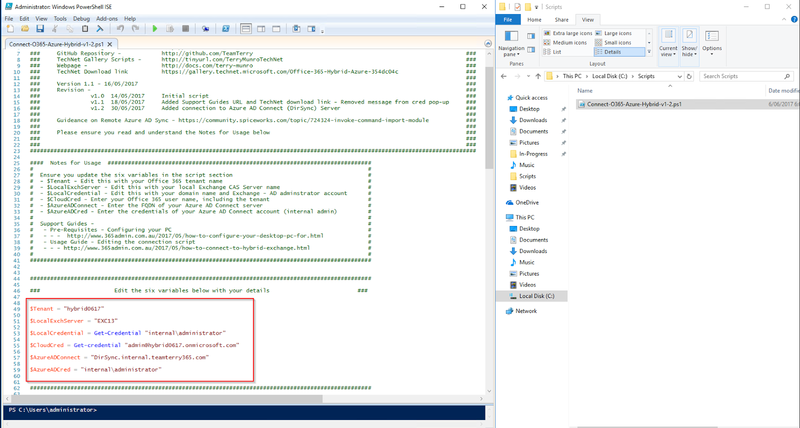 What this does is tell PowerShell that when you add the prefix EXL to the Get-Mailbox cmdlet - (Get-EXLMailbox) - you are telling PowerShell to run Get-Mailbox on on your Exchange Local connection. In the examples below, you can see how PowerShell differentiates between the two connections by using the prefix to select which connection to use. There will also be cmdlet overlap on other services like Exchange Local, Exchange Online, the Security & Compliance Center and Exchange Online Protection in the same Windows PowerShell session. For example, the cmdlet - Get-RoleGroup, is used in all four connections, but you can use the prefix to specify which connection to run the cmdlet in. Get-RoleGroup becomes Get-ccRoleGroup in the Security & Compliance Center. Get-RoleGroup becomes Get-EXLRoleGroup in Exchange Local. Get-RoleGroup becomes Get-EXORoleGroup in Exchange Online. 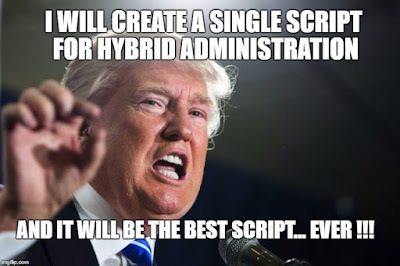 If you have pre-existing scripts used for Hybrid management, you will need to edit the scripts by adding the appropriate prefix to ensure your cmdlets run in the correct connection. 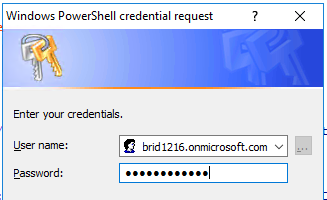 You have now confirmed that you can successfully connect via PowerShell to local Active Directory, Local Exchange, and all Office 365 and Azure services via the Connect-O365-Azure-Hybrid script.